Drafty windows are a major heat-waster. Keep the warm air in by covering your windows with plastic. DIY window insulation materials are usually around $20 - a fraction of the cost of a leaky window. Create an extra layer between you and the elements by replacing your screen door with a storm door (or adding a storm door if you don't have a screen). While it is a bit pricier than the latter, it can reduce energy loss up to 50 percent! Choose a storm door with low-emissivity glass or coating. Instead of blasting your expensive heat all day, install a programmable thermostat so you can adjust your temperature to your comings and goings. Turn it up down while you're out and back up right before you come home. 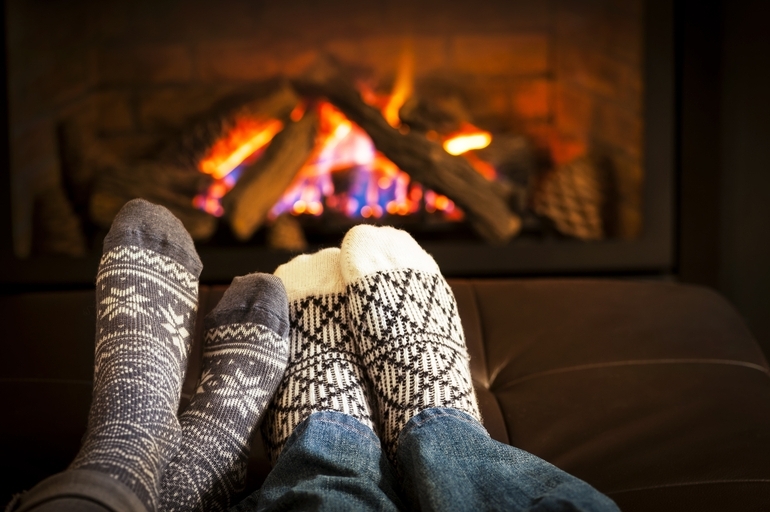 Reducing the temperature 10 degrees for eight hours a day can save you up to 15 percent a year on heating! If you want to know more about the new smart home thermostats click here. Invisible cracks around the house allow precious heat to seep out of the house. Caulk or weather-strip these sneaky leaks to save a lot of money on your winter energy bill. Some common areas that need insulation are the space between the baseboard and the floorboard, behind electrical outlets and around windows and attack hatches. Invest in curtains with a thermal lighting. This type of curtain is useful all year round – they block heat and UV rays in the summer and keep cold air out in the winter. You can cut your energy bill by 20 percent by keeping them closed during the day. By switching your fan to a clockwise rotation in the winter you’ll push the hot air that’s risen back down into the room. Throw on a comfy sweater and some fuzzy slippers rather than cranking up the heat. It’s cheaper and more cozy. If tearing down the drywall to add insulation isn’t an option you can line external walls with cold-absorbing materials like a tall shelf filled with books or decorative screens. For a free fix give your home a winter makeover by moving around your furniture to take full advantage of the heat sources. Steer clear of windows and cold external walls and center around fireplaces and other heat sources.